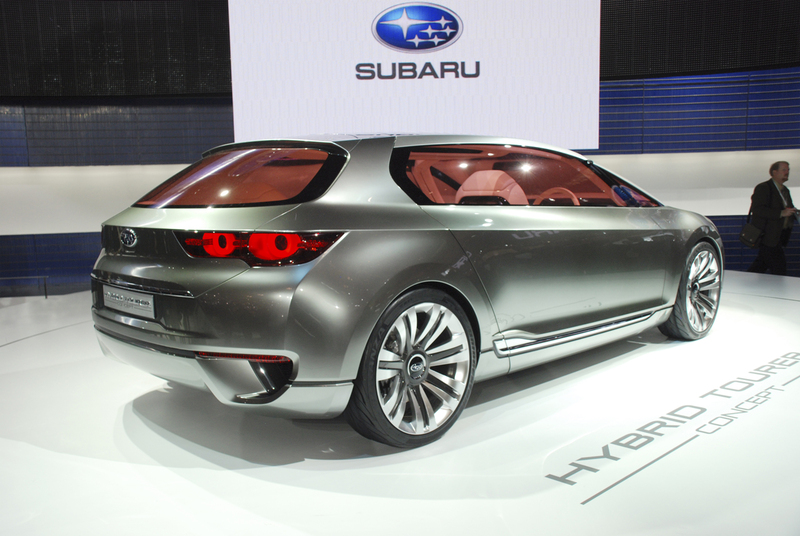 The Subaru Hybrid Tourer Concept was first shown at the Tokyo Car Show in late 2009. The Tourer features two electric motors, one near the rear of the vehicle for low-speed acceleration and in the front an electric motor connected to a turbocharged gas engine. It also features Subaru's standard symmetrical all-wheel drive. So far, there hasn't been any talk of this vehicle hitting the market, but Subaru said this will be the direction of their new designs. They want to design vehicles with less character lines, stating "cars have too many character lines now". If it did hit the market, unfortunately it would be without the gull wing doors seen the pictures from the earlier post.